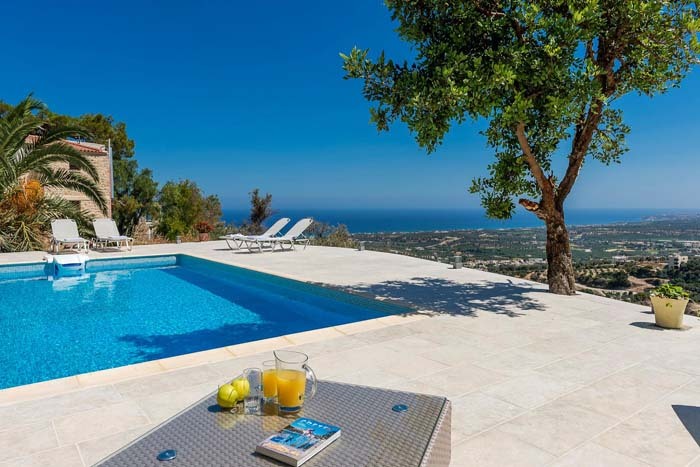 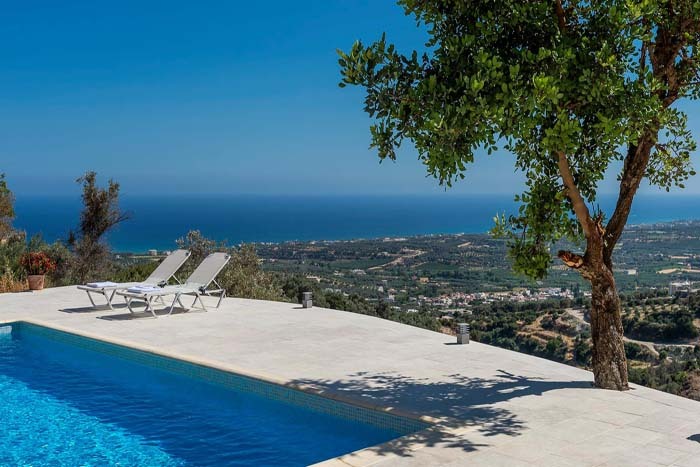 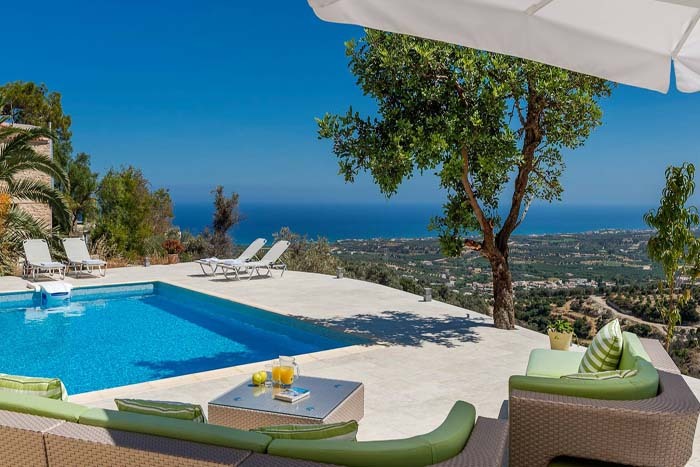 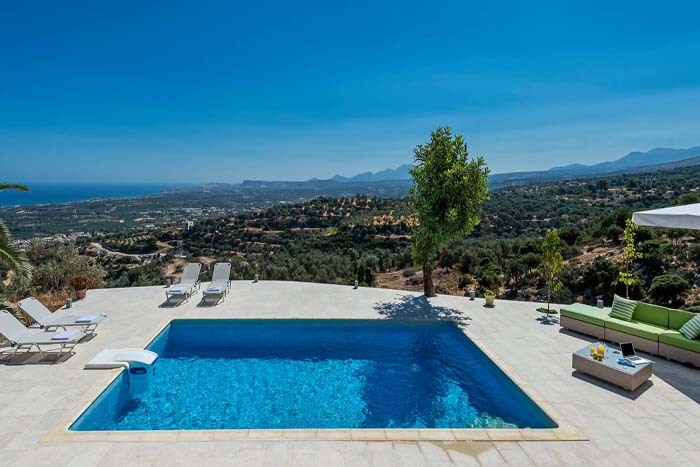 Villa Zeus is a luxurious stylish villa, set in a delightful part of Crete, in the historic village of Maroulas overlooking the bay of Rethymnon. 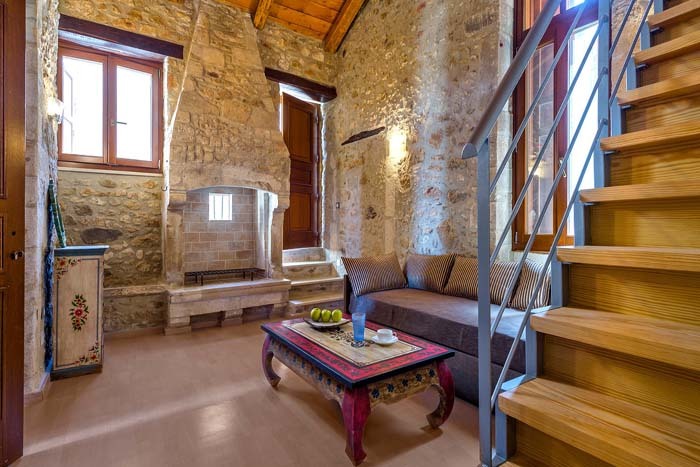 This former olive oil factory, dating from the Venetian era, offers a magnificent view to the Aegean Sea and Mount Psiloritis. 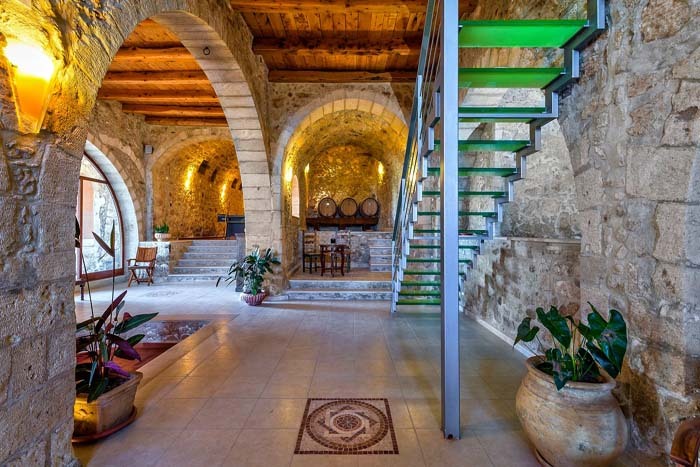 Entirely restored under control of Greek Archeological Department and the Greek Tourism Office, this stunning villa, sheltered by its high walls, offers a subtle game of arches, lights and contemporary feel. 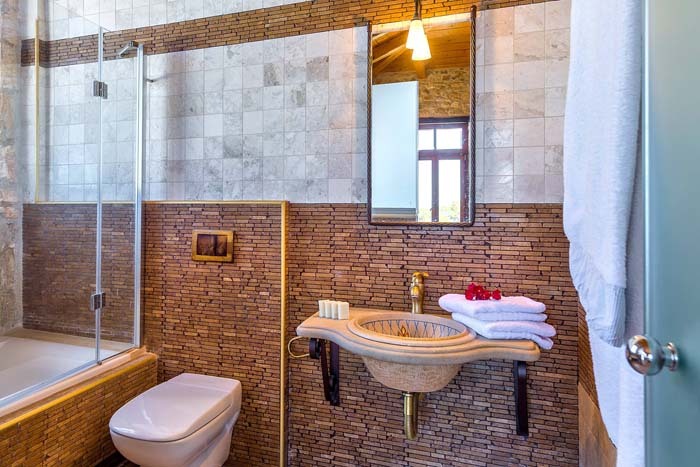 The villa offers 4 bedrooms but can sleep up to 12 guests, spacious indoor and outdoor areas and is equipped with all modern amenities to ensure a comfortable and unforgettable stay to its visitors. 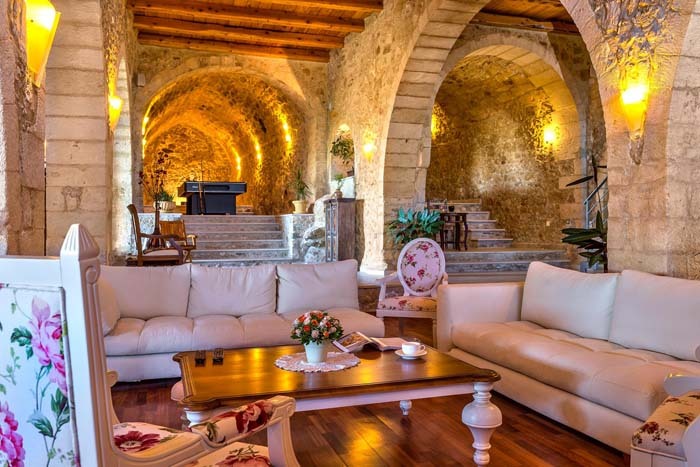 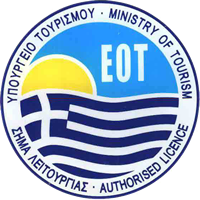 *Before the check-in, a 500 € security deposit will be paid and refunded at check-out once the property has been inspected, less any deduction made for any damage caused to the property or its contents. 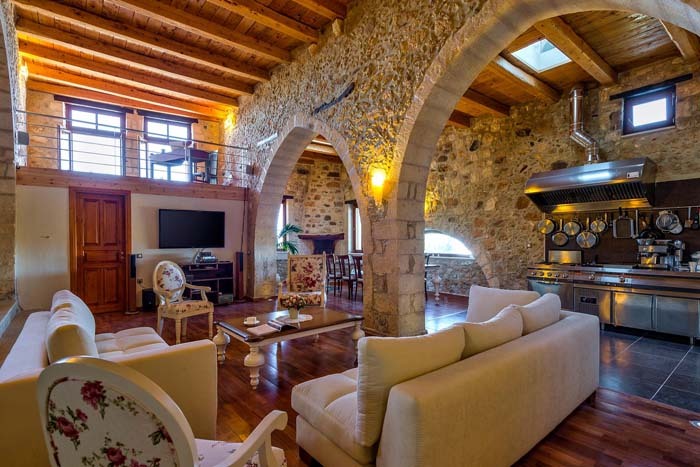 The villa has a 450sqm interior area and is built on two levels. 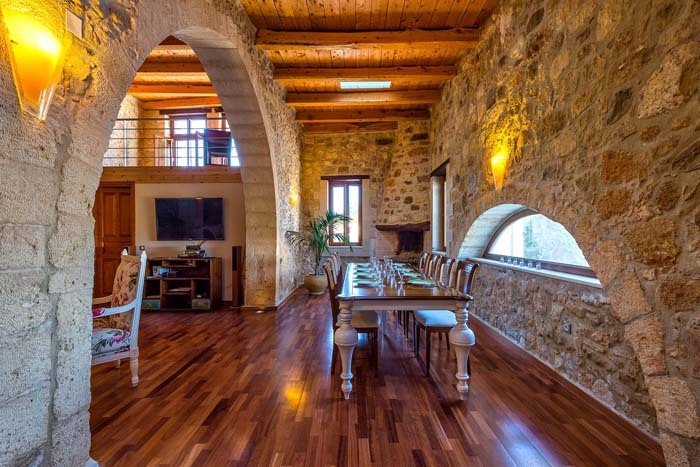 The ground level (250sqm) consists of a living area with sofas and armchairs, a dining area with seating for 12 people and a fully equipped kitchen. 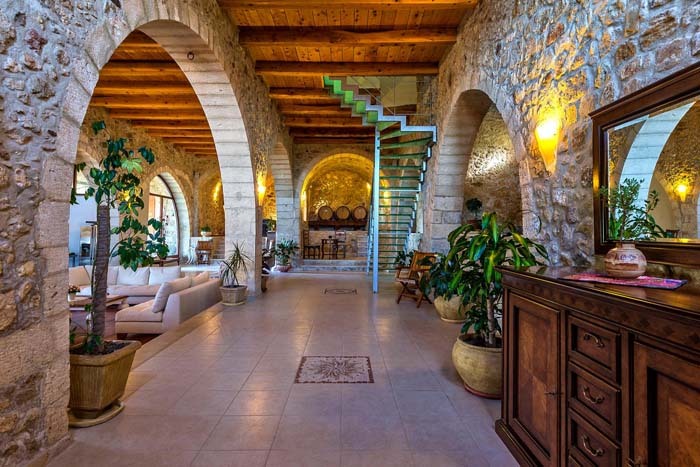 On this level there is also a billiard area, a wine bar and a mezzanine with an office. 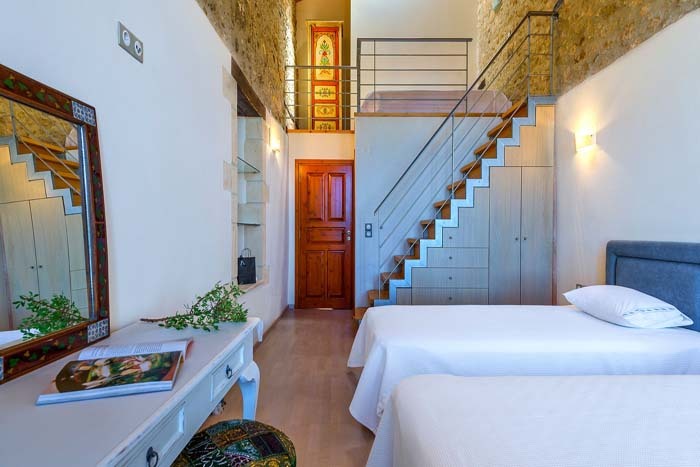 The bedrooms are on the upper level. 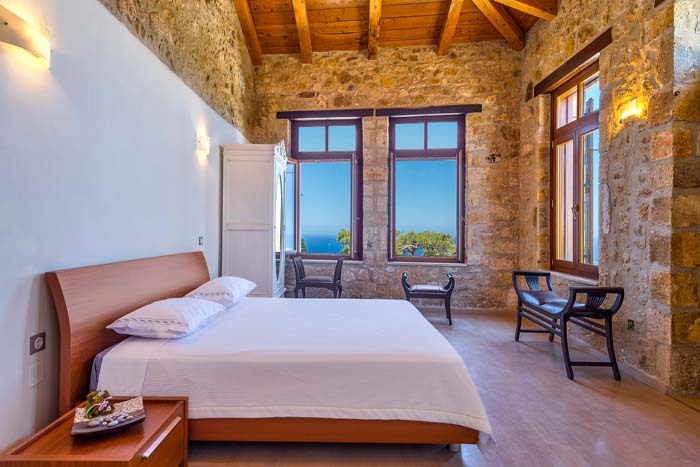 The first one is a 40sqm family bedroom with two beds, a mezzanine with a double bed (140x200) and en suite bathroom with a shower. 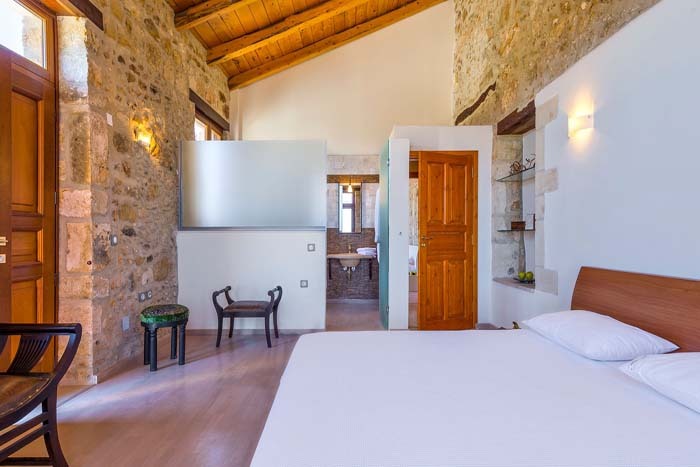 The second family bedroom is 30sqm and includes a sofa bed, a mezzanine with a double bed (140x200) and en suite bathroom with a shower. 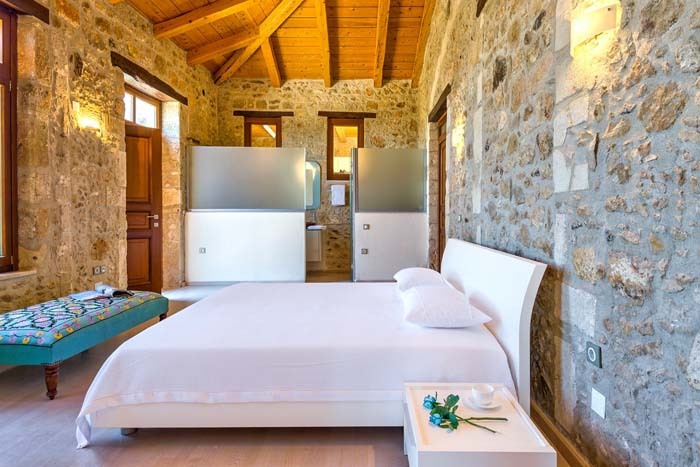 The third bedroom is 30sqm and offers a double bed (180x200) and en suite bathroom with a bath and shower. 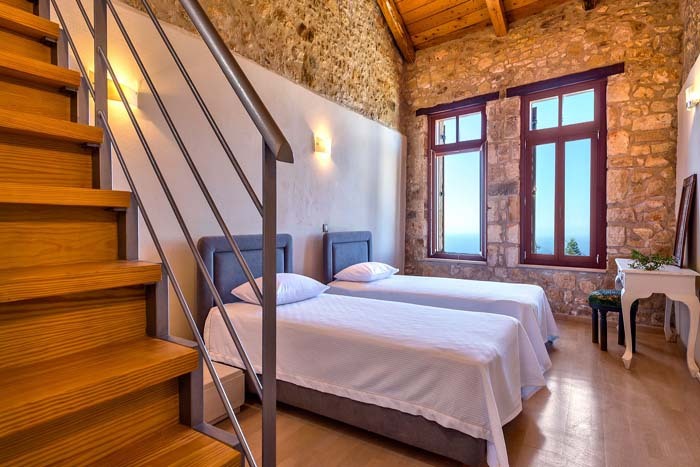 The fourth bedroom is 24sqm and has a double bed (180x200) and a bathroom with a shower. 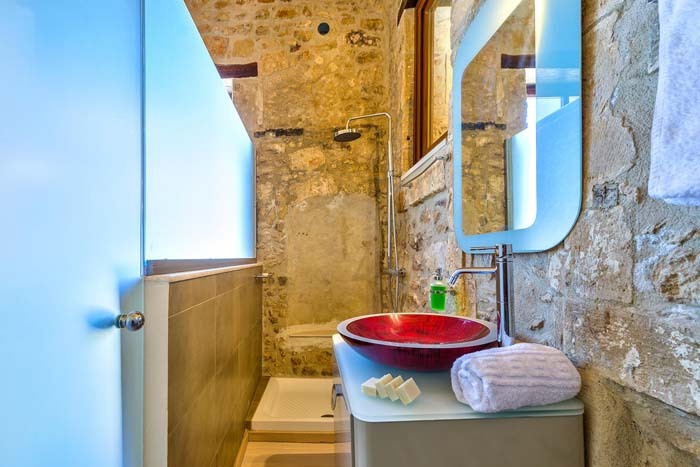 On this level there is also a laundry room with a washing machine and dryer. 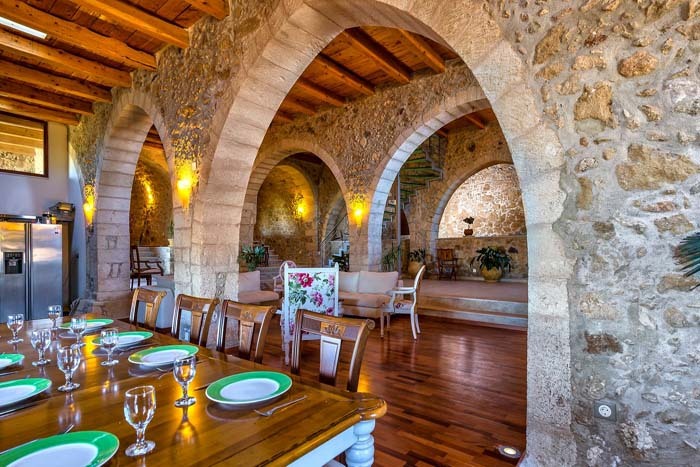 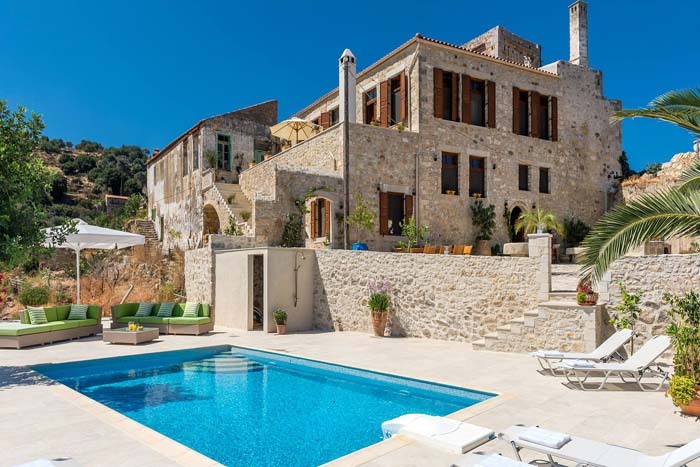 The villa has no air conditioning as the thick stone walls keeps the air cool during summer. 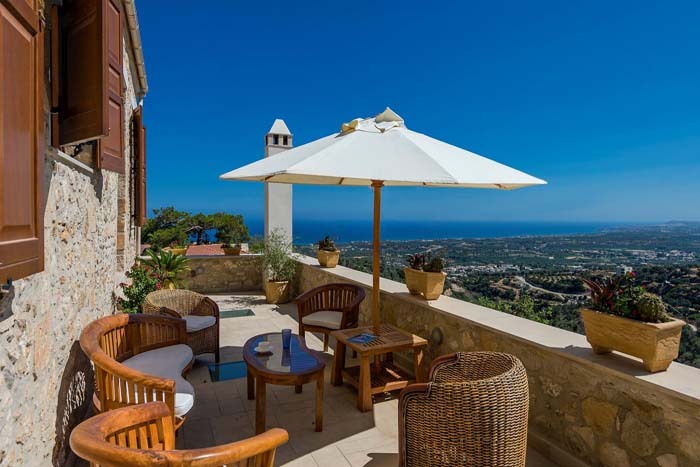 All rooms have access to the terrace. 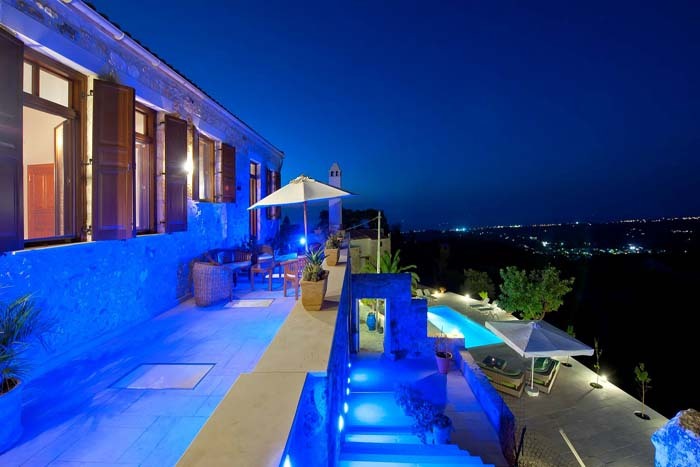 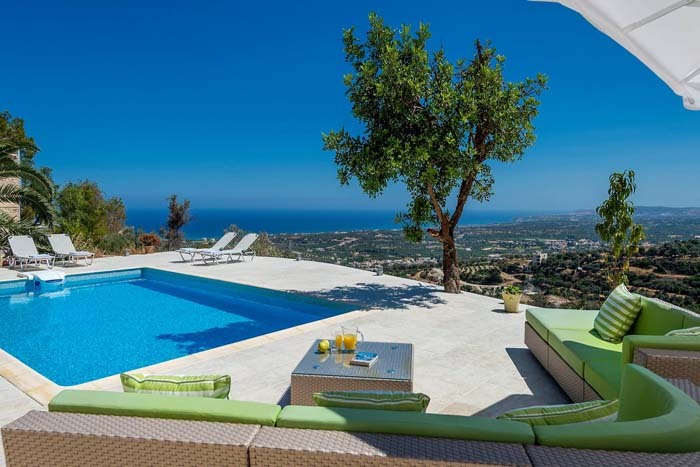 The exterior of the villa is in harmony of the environment and the views to the sea and mountains are just fantastic. 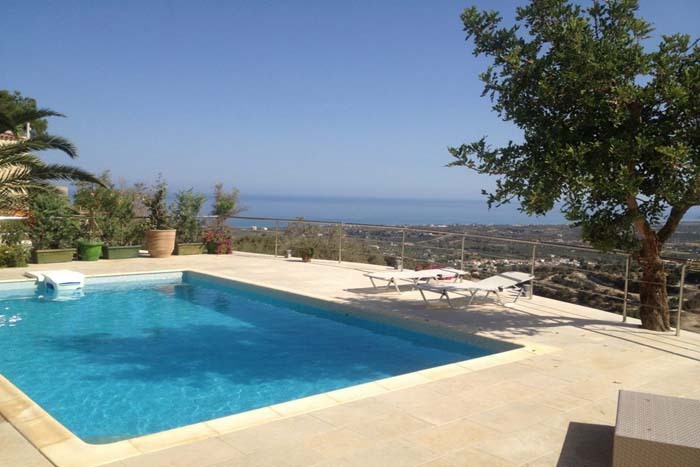 There is a 40sqm private swimming pool with sun loungers and a beautiful garden. 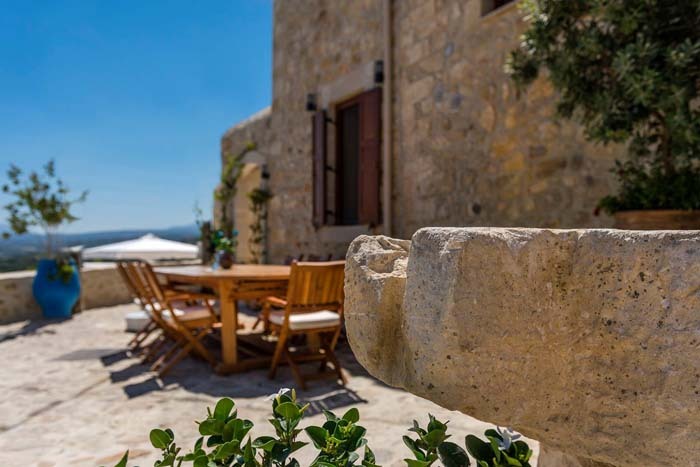 The villa has a spacious, 60sqm terrace with Indonesian wooden furniture, a BBQ and dining area with seating for 12 guests. 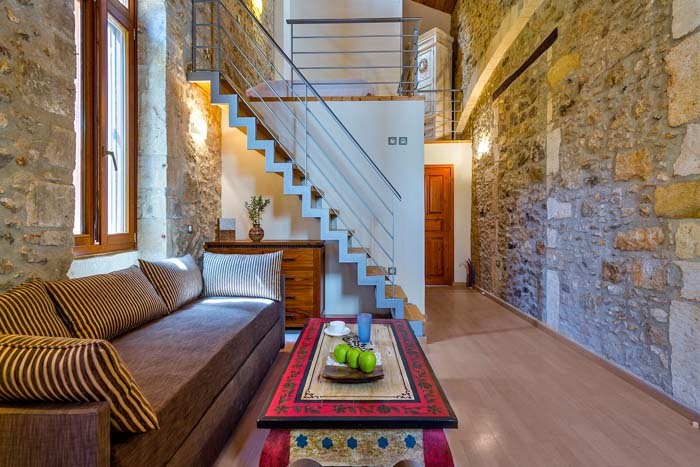 The above rates include maid and cleaning service, wireless internet, vat and city taxes.